The discussion of death is at last being brought out into the open, while the care of the dying is seen to involve more than the traditional services of doctor and priest. 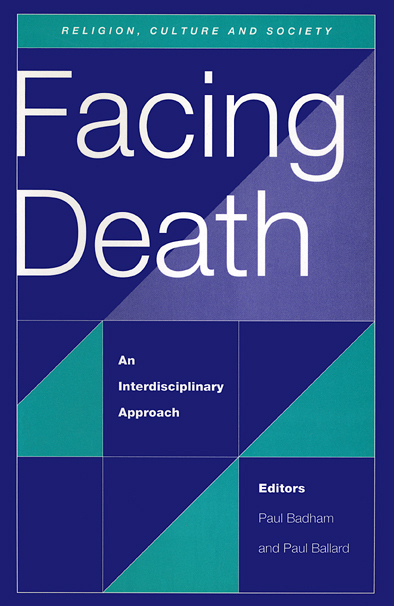 Facing Death brings together contributions from the law, philosophy, medicine, social work, theology and religious studies to discuss issues such as hospice care, the arguments for and against euthanasia, and religious hope for eternal life. There are also accounts of recent research into `near-death’ experiences and into measuring the quality of human life. This broad, interdisciplinary approach to death in contemporary society will have a special interest for a whole range of caring professions, but, beyond that, its interest is, of course universal. The case against euthanasia - Stephen Williams.